This fall semester we were presented with a couple of unexpected opportunities to perform. We jumped at the chance to share our music with others and had so much fun doing so! 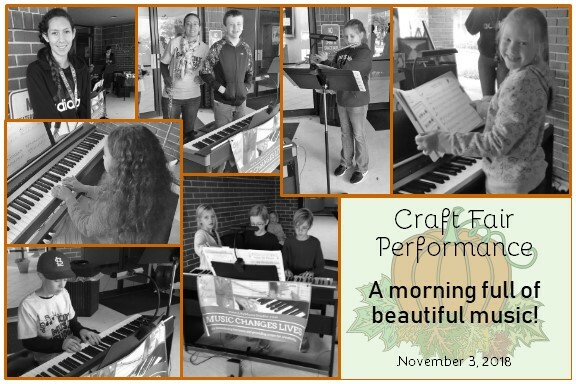 Here are some of the students who performed background music at a craft fair. They prepared quite a few pieces and played on a rotation for several hours. They were amazing! Vendors mentioned that they enjoyed hearing the music throughout the morning. 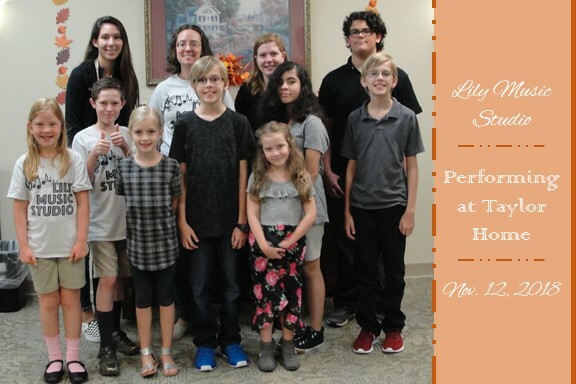 Another group of students performed for residents at Taylor Home on Veterans Day. We had so much fun meeting the people there and heard many stories of their time in the military. We enjoyed seeing their pictures and hearing their memories! The students and I learned a lot through these experiences. The students learned more about how to choose and prepare their own music and we all grew in our knowledge of stage presence and musicianship. We are grateful that we could share our music with others!